Hey Everyone! Today I have a pretty exciting (well, for me anyway!) collab for you guys! 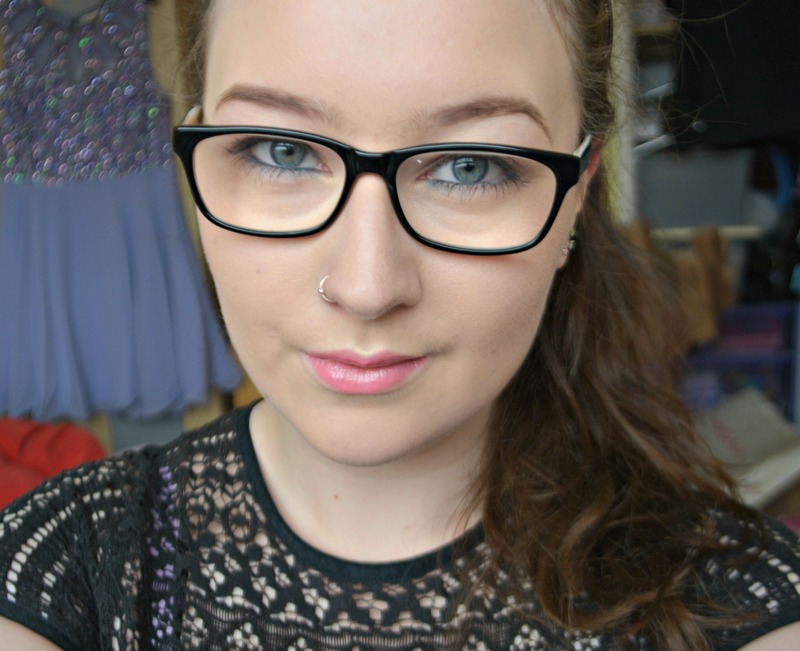 Along with the amazing Jess from Beautiful, Breakable I have created a spring make up look. I chose to create the day look and Jess chose to create the night look, so go over to her blog to check it out! 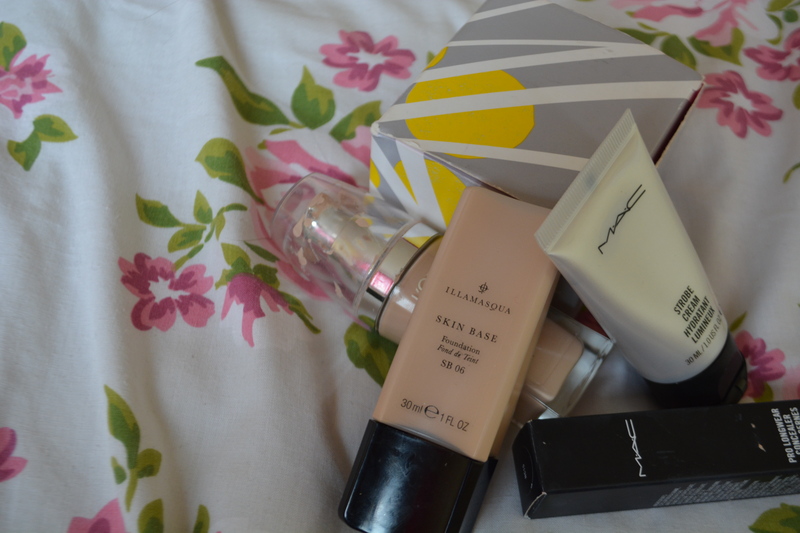 For my base I used my regular moisturiser from B and mixed that with my MAC strobe cream to ensure a dewy finish. I then mixed my L’oreal True Match foundation and my Illamasqua skin base together to make the perfect full coverage foundation that will stay on all day! To conceal and highlight I used my MAC pro longwear concealer in NC15. To set that all in place I used my colour correcting peals from Avon, they will also help you give you the perfect dewy finish! To give some colour to my skin and contour I used the second shade down on the right of the palette. I just popped this underneath my cheekbones, lightly down either side of my nose, along the top of my forehead, under my lip and under my jaw line. So pretty much everywhere. 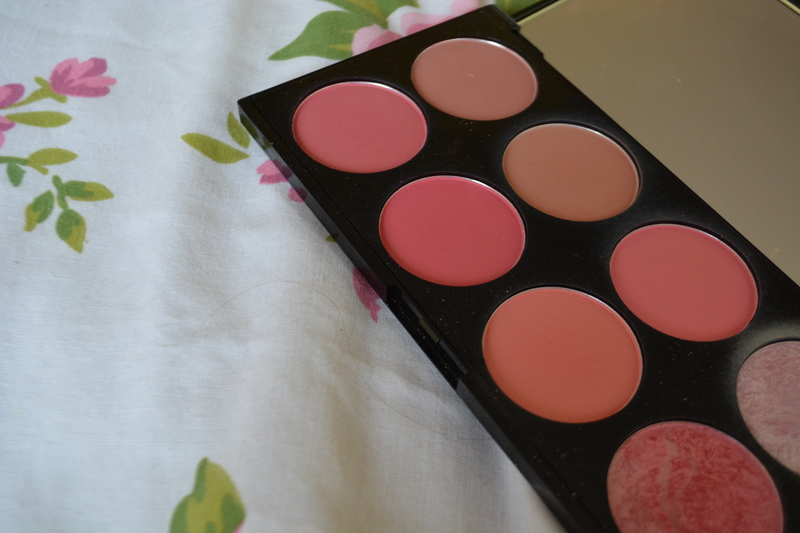 I also used the peach blush from this make up revolution palette to give me that healthy complexion. 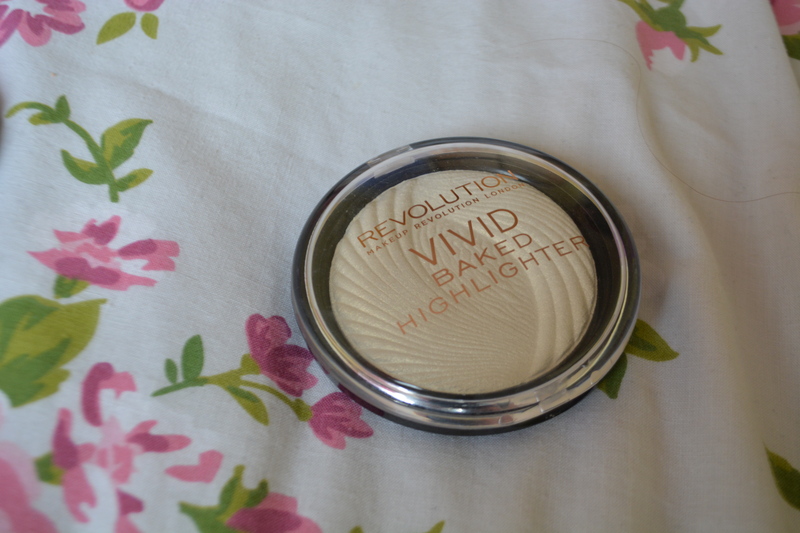 For my highlighter I used this gold looking baked highligher from make up revolution. 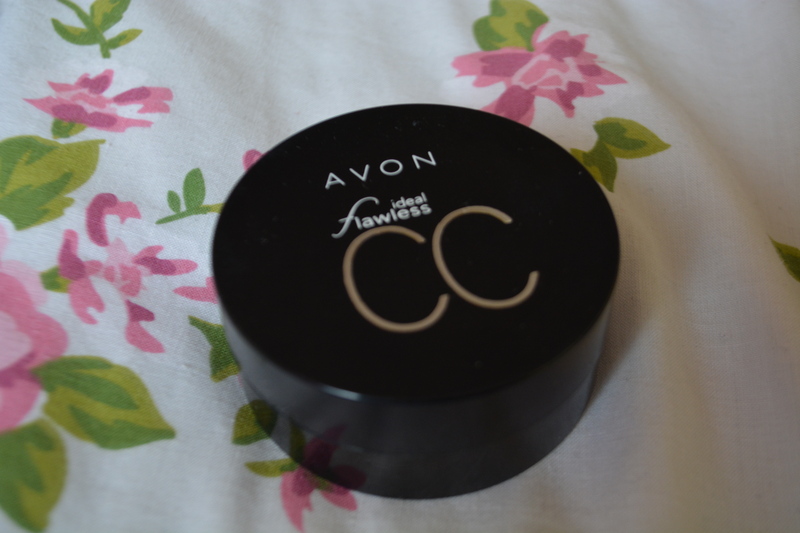 I placed this on my cheekbones, chin, brow bone, cupids bow, a little on the bridge of my nose and also used it as my inner corner highlight on my eyes. It gives a beautiful sheen and is more subtle and therefore suitable for day time. To create my simple eye look I used the maybelline colour tattoo in “on and on bronze” and slightly blended that out. 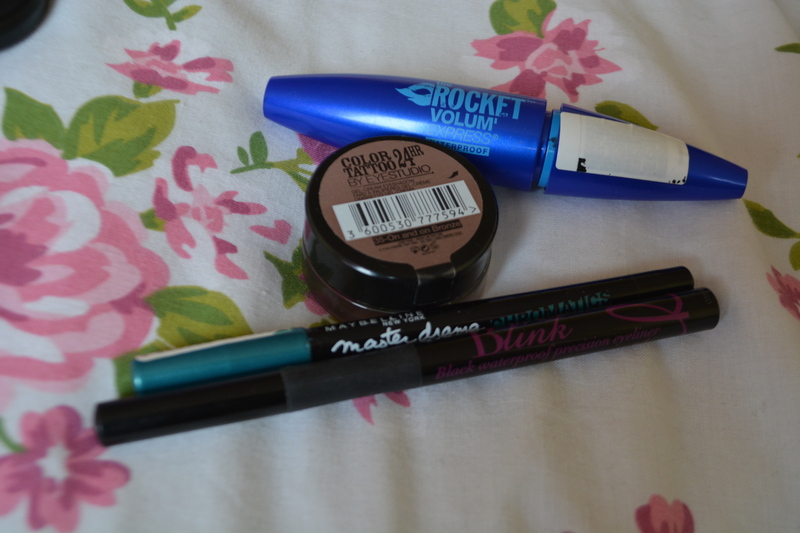 Then I lined my upper lash line with the Barry M ‘Blink’ waterproof eyeliner. Next I used the maybelline chromatics eye liner in “turn on the teal” for my waterline and blended that out slightly using a small detailed brush with a bit of my sleek “sahara” blush on it (not pictured…oops!). To finish I curled my lashed and used my Maybelline The Rocket waterproof eye liner. I really didn’t plan for my eyes to be nearly all maybelline but they know what they are doing on the eye-front! 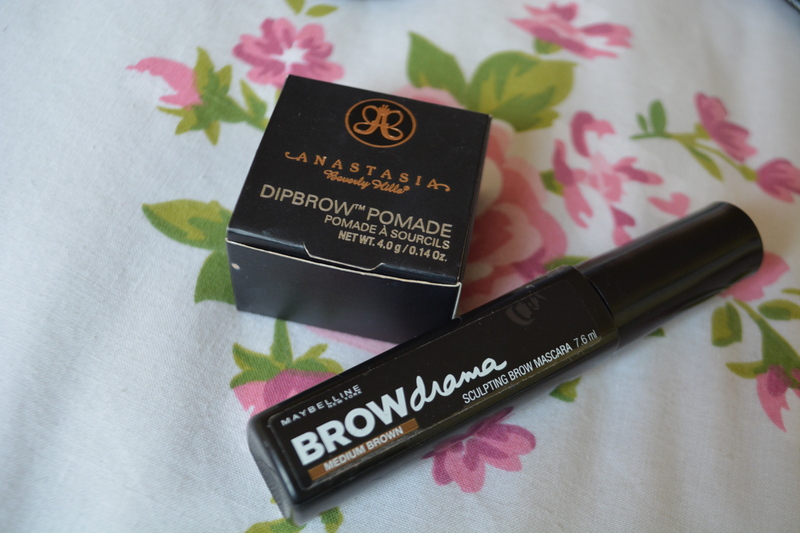 For my brows I used my Anastasia dip brow in “dark brown” and my Maybelline brow drama in “medium brown”. To finish the look off I just used my Tanya Burr lipgloss in “picnic in the park”. Et voila! I hope you enjoyed this post and have some ideas for your perfect spring make up, don’t forget to hop over to Jess’ blog and check out her make up look! You can also see my dress for my birthday party in the background… and a splodge of hairspray on my glasses. Well done me. But anyway- until next time..Goodbye for now little buns!